Affinity Photo is officially Apple’s best iPad app of 2017 and to celebrate, you can grab it at an incredible half-price – for 48 hours only. 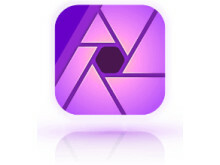 The 'App of the Year' accolade comes six months after the first fully-featured, truly professional photo editing tool for iOS was unveiled at Apple’s WWDC2017. 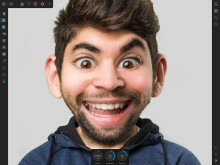 Rave reviews have followed from the world’s media, backed up by endorsements from customers who demand complete, professional photo editing capability, free from the confines of the studio or the desktop. 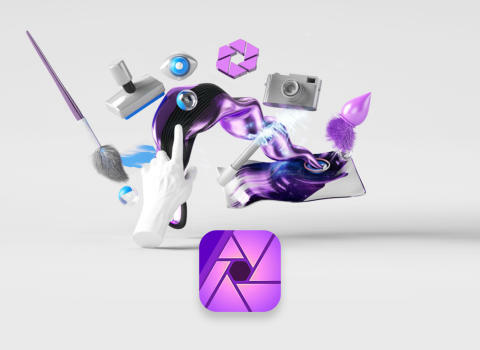 Announcing Affinity Photo as the App of the Year for 2017, Apple described it as “an uncompromisingly excellent tool," adding: "Affinity Photo is a pro grade photo editor and illustration tool that has wowed not just us, but the professional users and enthusiastic amateurs that it serves, too. 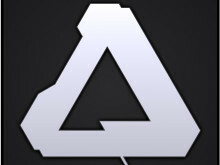 This isn't a jack-of-all-trades app, it's a master of all." 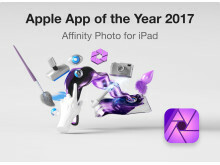 Ashley Hewson, Managing Director of Affinity developer Serif, adds: “From launching on-stage during the keynote at WWDC to being named Best App of 2017, this has been an unbelievable six months for Affinity Photo for iPad. 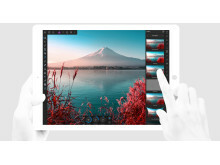 For 48 hours Affinity Photo for iPad is on offer for an unbeatable £9.99 / $9.99 / 10,99€ from the App Store (subject to regional variations, offer closes 12 noon GMT on Saturday). 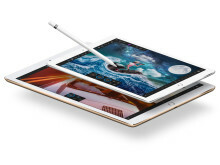 Compatible devices are the iPad Air 2, iPad 2017, iPad Pro 9.7-inch, 10.5-inch and 12.9-inch. 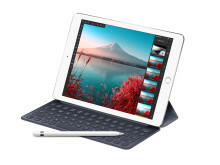 Affinity Photo for iPad redefines photo editing by exploiting the explosive power of the iPad’s hardware and touch capabilities. 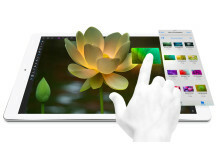 Each tool, panel and control has been completely reimagined to optimise for touch – either with fingertip or Apple Pencil. 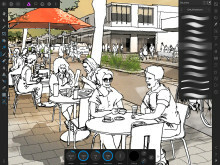 All rendering, adjustments and filter effects have been fully hardware-accelerated and the result is a genuinely unique new way to interact with your images and your iPad, with performance you’ll find hard to believe. Using iOS 11’s Files app, users can simply drag and drop a chosen image, or multiple images, and start editing. This harnesses the full power of techniques such as HDR, panoramas and focus merge, which require the selection of multiple images. 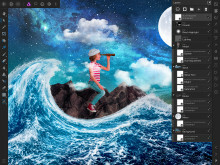 Affinity Photo for iPad draws its heritage from the desktop version of Affinity Photo, which was selected by Apple as Mac App of the Year in 2015. 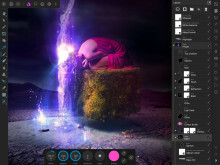 Real time effects: Affinity Photo comes with a vast range of high-end filters including lighting, blurs, distortions, tilt-shift, shadows, glows and many more. Full control is given over every aspect of a filter’s properties with incredibly precise controls—all the while seeing a real-time live preview of the result. Best of all, filters can be applied as live layers, enabling you to edit, erase away, or mask effects after they have been applied.